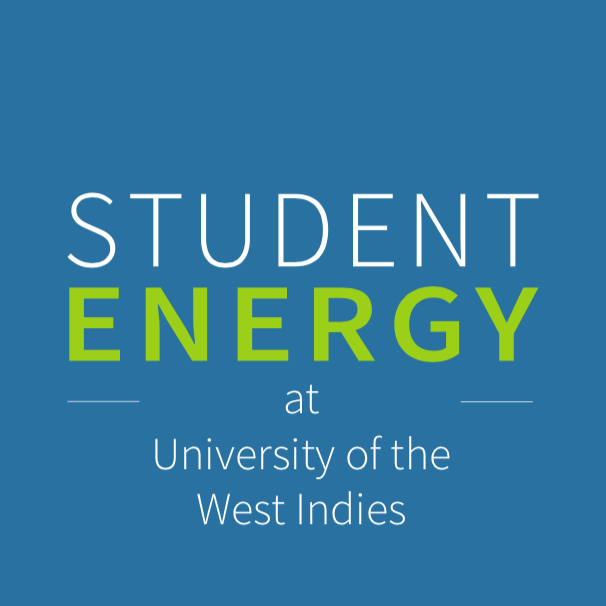 Student Energy at the University of the West Indies is a new club that aims to educate and empower our youth on energy topics in Trinidad and Tobago. While Trinidad and Tobago is a major exporter of petroleum and natural gas and is thereby an energy-based economy, our chapter will be an educational platform to educate our audience on the energy transition towards a sustainable energy future. Student Energy at the University of the West Indies seeks to provide an inclusive educational setting for students of the University of the West Indies to explore topics on energy and the environment and contribute to projects that reinforce sustainable energy solutions while educating the public. We will accomplish our mission through a focus on action-oriented projects, educational platforms, networking, and skill-development workshops. There are two types of memberships with our chapter: #Enernerds and Energy Enthusiasts. #Enernerds will have full access to all opportunities offered by our chapter and is only offered to post-secondary students. It comes at a fee of $20.00 which can be paid by semester ($10.00 / semester). Click here to register as an #Enernerd. Energy Enthusiasts is offered those persons who are not eligible to be part of the chapter but would like to be involved, for instance, secondary school students. Persons simply wanting to be part of the mailing list must register as an Energy Enthusiast. Click here to register as an Energy Enthusiast. The International Student Energy Summit is a global forum that focuses on the role students will play in defining our sustainable energy future. The Student Energy Summit is a biannual event which occurs in different cities around the world and was first run in 2009 being Student Energy's longest running program. The summit targets international, multidisciplinary post-secondary students in undergraduate and graduate studies in energy. It is one of the most innovative, inspiring energy summit's taking place in the world and is the most globally diverse university conference on energy. Student Energy Summit will be hosted in London, UK from July 17th to 20th this year. Pre-registration is currently open which provides you with updates on the progress of the summit. Registration is expected to open in early 2019 so keep an eye out for updates! We are pleased to announce that registrations for the International Student Energy Summit 2019 are now OPEN. If you are passionate about ENERGY, if you are curious, if you want to be a game changer, do not miss the opportunity to meet like-minded students from around the world and APPLY NOW! Application deadline for the first round is 28 February 2019. Guess what? We're preparing to release some really cool merch for you guys soon but we need your help. Time to put your creative berets on and take a shot at designing t-shirts, polos, cloth bags, water bottles, pop sockets, and keychains. You don't have to be the most talented at drawing or designing, as long as you express your ideas, we can make them come to life. Compost happens - that's just how it is. On Thursday 21st February, we will be having a workshop on home composting in the tropics so that you can responsibly deal with the wide variety of organic household waste in your garden while reaping the benefits. We are partnered with the UWI Agricultural Society and the UWI Biological Society to make this happen and our facilitating partners will be the Central Pathfinders Environmental Foundation and JTB Homesteads. To prepare for this workshop, we would like you to collect and donate ALL organic kitchen waste for us - food scraps, unwanted and used fruits/veggies, tea bags, coffee grounds etc... This is an important part of the practical session during our workshop and we would appreciate if these materials can be donated to us! More information will soon be released soon but we encourage you to register and to spread the word so more people can get in on the dirt on composting. Not only will this workshop be a pile of fun, but it's also FREE! Other organizations will charge like $250 for the same content you will be getting. This is literally a one time offer! To commemorate World Wetlands Day, we will be working with Caribbean Youth Environmental Network to bring you a mash-up between their CYEN Convos and our Enerbeers. This year's World Wetlands Day is themed Wetlands and Climate Change and we have invited Dr. Rahanna Juman to join the discussion with us on Thursday 21st at FFA B. There are also some murmuring from some wetland creatures that a representative of USAID will be coming to talk to us. We are 99.99% sure that this is true and we encourage you to come out. Please feel free to open the invitation to any of your colleagues! Unplug for a while where the WiFi is weak and we promise you'll find a better connection. Join SAND, UWI Rover Scouts Crew, and Student Energy on Sunday 24th as we discover the mystical Mermaid Pools of Matura. We will be navigating the lush Mora and Pine forests, descending to the river and trekking to the pristine pools. There are many fascinating pools, small waterfalls, and gorges along this hike due to limestone formations. At our destination, three pools will be tightly nestled together forming the immaculate Mermaid Pools. While there are many routes to find our destination, we will be taking one of the simplest treks to arrive there. The fee of $75 for this adventure includes light refreshments and reliable transportation. You can contact us during the week to secure your spot on the maxi by paying. However, if you are driving to meet us there, it's free! Limited seats available: Sign up now! Mina Guli had set out to run 100 marathons in 100 days for the global water crisis but due to an injury, she is no longer able to complete this marathon on her own. The global community has since been helping Mina complete her mission by running every day. Our chapter helped her run 673.26 KM over 5 days and on her global running day, we ran for 124.55 KM. Mina created a list highlighting 100 community water heroes and we were one of these heroes!